2017: Cell Phones are banned in schools, colleges and even on playgrounds. 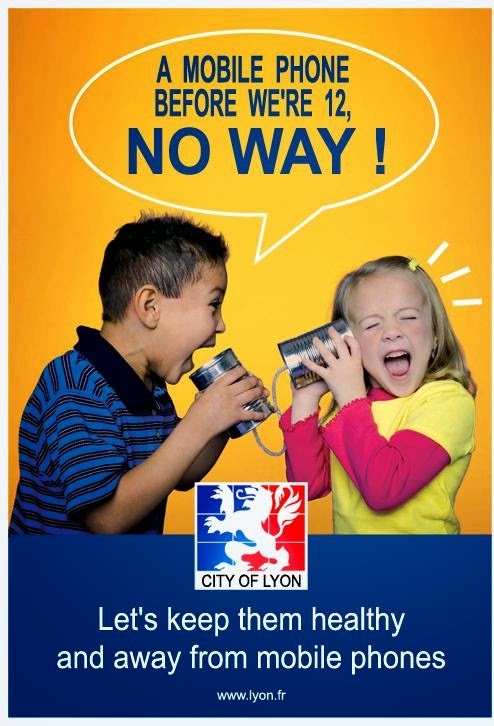 Mobile phones will be banned in schools and colleges (middle schools in France) including playgrounds announced the Minister of National Education Jean-Michel Blanquer according to a news article published in Le Monde. The measure was confirmed by the Minister of Education. The new report has made headlines across the country. each employer has to evaluate EMF risks. When exposure exceeding limit values is detected or when an undesirable or unexpected health effect from exposure to EMF is reported, the worker will benefit from a medical visit. The employer must provide information and training to his employees regarding the characteristics of EMF emissions, the direct and indirect biophysical effects that could result from exposure to EMF, etc. The employer must adapt as much as possible the post in order to limit exposure to EMF. Specific precautions will be taken regarding pregnant women. WiFi Banned in Nursery Schools: WIFI and Wireless devices will be banned in “the spaces dedicated to home, to rest and activities of children under 3 years”. WiFi on “OFF” as Default to Minimize Exposures in Schools: In elementary schools,WIFI routers should be turned off when not in use. Schools Will be Informed: The school board should be informed when new tech equipment is being installed. Cell Tower Emission Compliance Will Be Verified: A decree will define the limits of emission of equipments for electronic communications or transmission to which the public is exposed. These values can be verified by accredited organizations and results will be made accessible to the public through a National Radiofrequency Agency. Citizens Will Have Access to Environmental/Cell Tower Radiation Measurements Near homes: Every resident may get access to the results of measurements for their living space. Cell Antennae Maps For the Country: A description and map of the places with atypical (higher than the limits) places will be conducted at regular intervals with follow up of the actions being taken to limit the exposure. A map of all antennas will be produced for each town. Electrohyper-sensitivity Report To Be Submitted: Within a year, a report on electrohyper-sensitivity must be given to the Parliament according to the law. 1. Protect children and youth the most. It is recommended that parents advise their children or teenagers to use their phone only for essential calls. The use of the SMS and the use of the earpiece should also be encouraged by the parents. In addition to these specific tips, other good gestures should also be adopted. Prefer SMS (Texting): By using SMS to communicate, one reduces the emission of waves of his telephone. Indeed, to send an SMS, the phone “connects” to the nearest relay antenna only the time to send the message. During a conversation, the phone connects to the nearest relay antenna and renews the connection regularly, especially on the go. The level of emission of waves is therefore more important. Also when sending an SMS, the notebook is away from the head. Keep the phone away from electronic implants: If you wear an electronic implant (pacemaker, insulin pump, neurostimulator …), keep your mobile phone away from the equipped area. It can disrupt the functioning of your medical device. Do not call in areas of poor reception: The less the network coverage is good, the more your phone emits waves to keep the conversation going. It is therefore recommended not to call in areas where reception is not good: underground car parks, elevators, confined spaces … Check the number of bars on your phone, it indicates the quality of coverage of the network. It is also generally prohibited to call in hospitals and airplanes because of the presence of radio-frequency devices. Your phone may cause interference and interfere with the operation of electronic devices. Move the phone away just after dialing: To limit exposure to waves at the head, you can get into the habit of not approaching the phone in your ear within seconds of dialing. Indeed, it is during these first seconds that the transmission of waves is strongest to find the nearest relay antenna. The level of wave emission then stabilizes. Avoid calling while traveling at high speeds (car, train, bus). When moving at high speed, the phone must successively connect to different relay antennas to maintain the conversation. With each search for a relay antenna, the telephone transmits at full power, the level of emission of waves is therefore regularly higher. It is therefore recommended to avoid calling by train, for example. Telephoning while driving is also prohibited and liable to a fine. The danger comes more from the distraction created by the conversation than from the immobilization of a hand. Read the information in your cell phone manual: You can find out about the level of exposure to the waves of your mobile phone: this is the DAS, whose display becomes mandatory at the points of sale in April 2011. The DAS (Specific Absorption Rate (SAR)) phones Mobile device quantifies the user’s maximum exposure level to electromagnetic waves, for use at the ear. The French regulations require that the DAS does not exceed 2 W / kg. The devices described as “anti-waves” have not proved their effectiveness. Go to French Government Website which hosts the above 8 Ways To Reduce Exposure . You can click on the graphic to learn more. The Agence Nationale des Fréquences holds public information on the measurements from base stations. Their website has information on their measurements of electromagnetic fields around base stations and other radio frequency emitters. French Ministry of Solidarity and Health website on electromagnetic waves. Prior to the 2013 and 2016 recommendations, in 2012 a Brochure Téléphones mobiles, santé et sécurité (Official Recommendations to reduce exposure: Mobile phones, health and safety) was created to inform public about how to reduce exposure to cell phone radiation. In 2010 Recommendations were issued on the government website here. Article 183: Cell phone advertising aimed at children younger than 14 is banned. In nursery schools, elementary schools and colleges, the use of a mobile telephone during a teaching activity and in the places provided by the rules of procedure, by a pupil is prohibited. Cell phones made for children under 6 are banned “to limit exposure to children”. “Removing Wifi from Schools” – Herouville-Saint-Clair has removed all Wi-Fi equipment installed in municipalities.